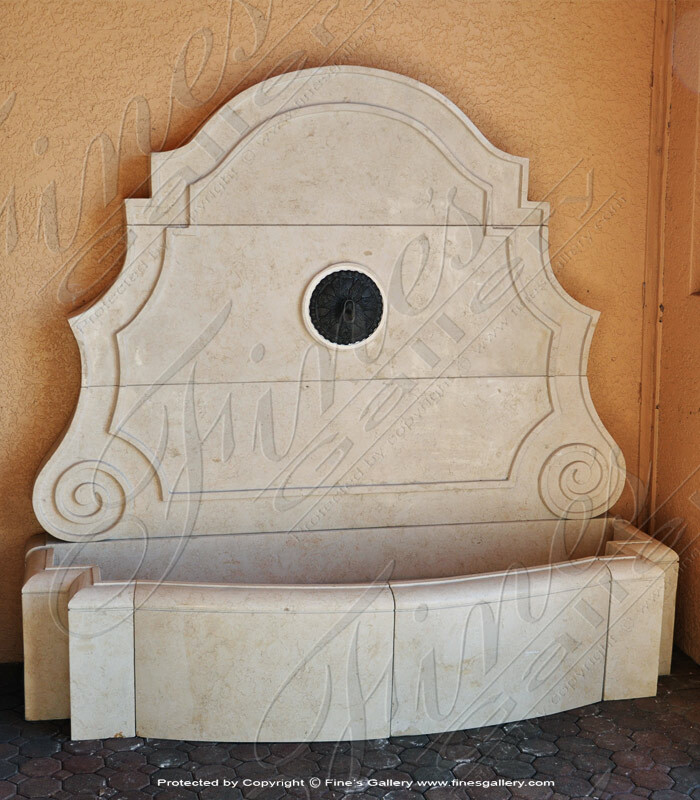 Italian Villa Travertine Wall Fountain. 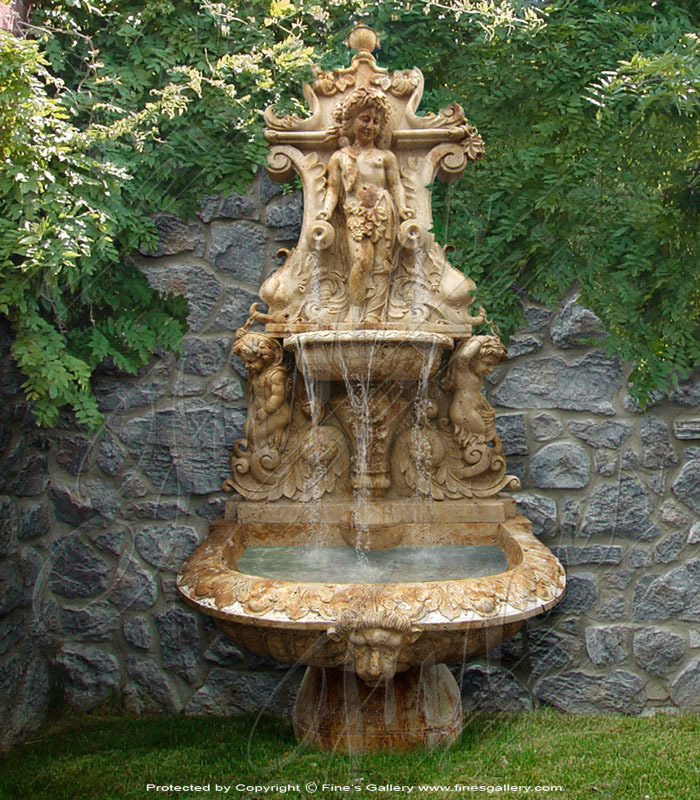 With allusion to A Midsummer Nights Dream, this magical fountain will be a happy discovery on your garden path or special nook of your dream-land. 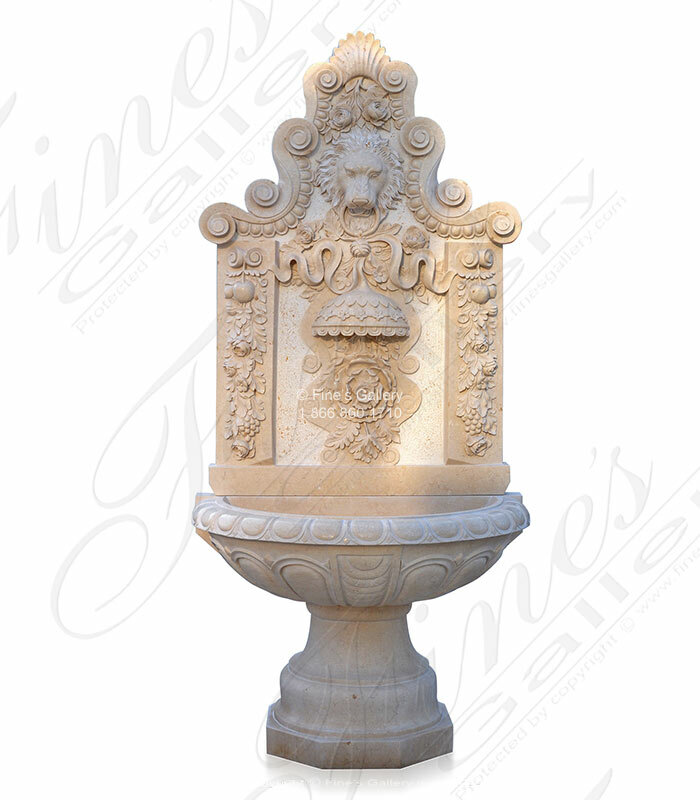 Featuring old world roman children, lions and flora scrollwork. 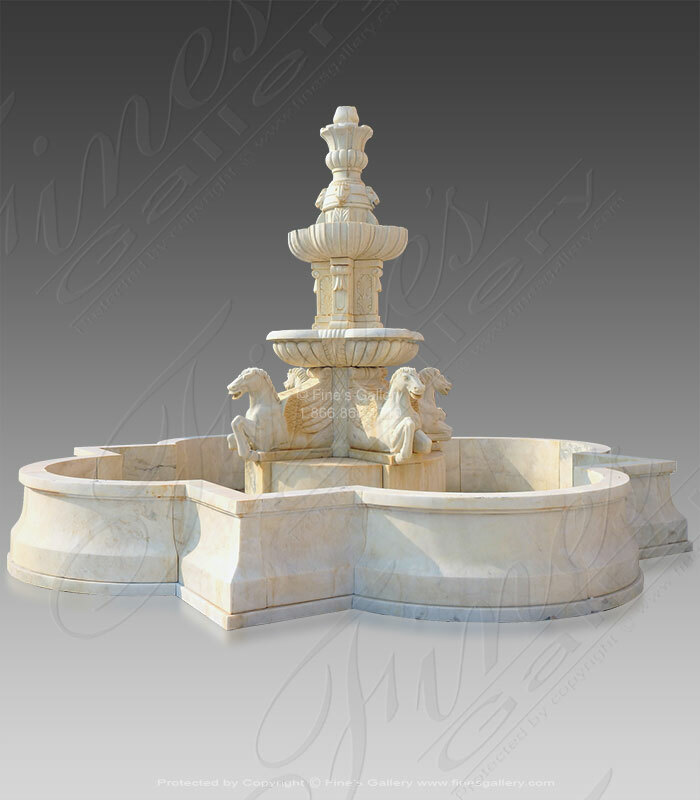 Green Marble Lions Garden Fountain. 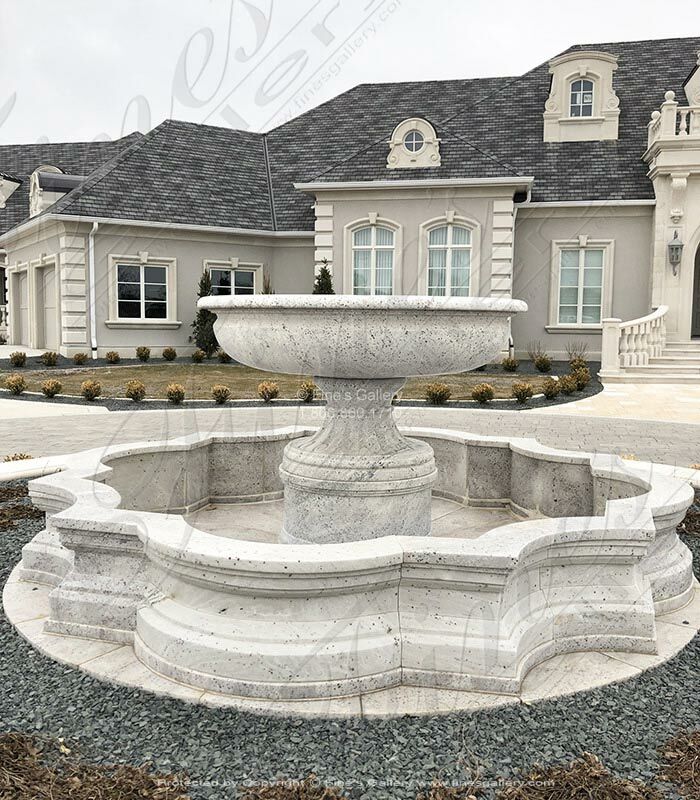 Water spouts from each lion head into an ornately scalloped basin, then cascades down into the dynamically shaped pool at the base. 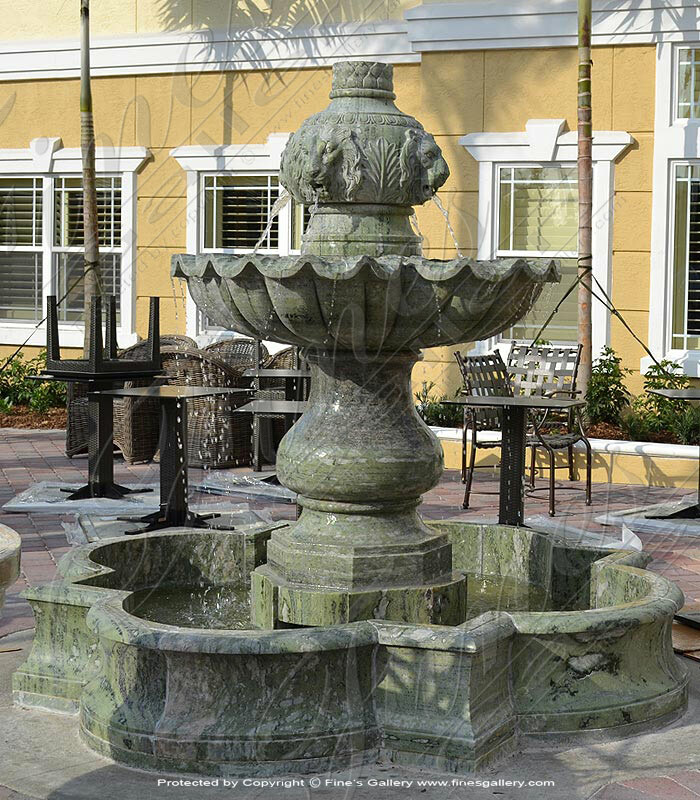 Installed at a commercial property in Stuart, Florida. 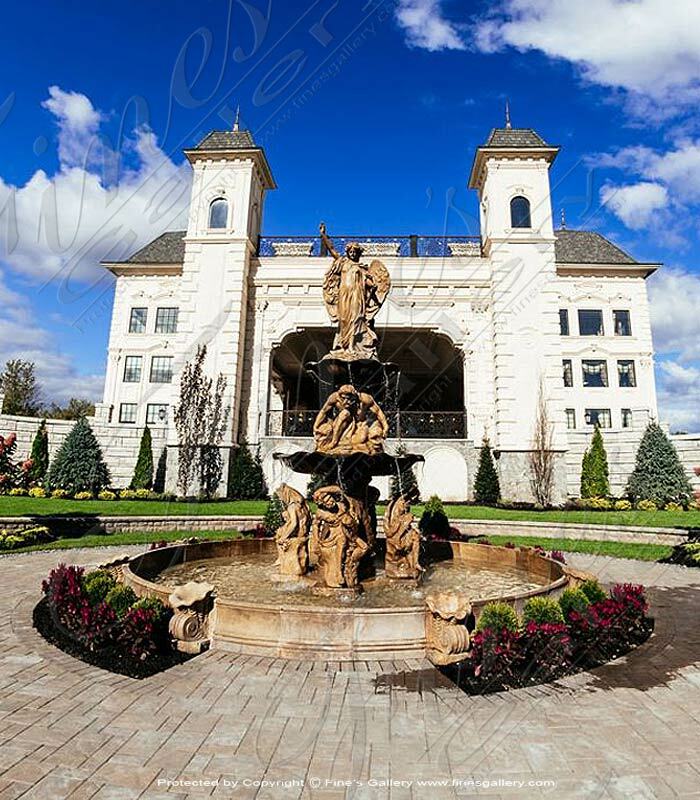 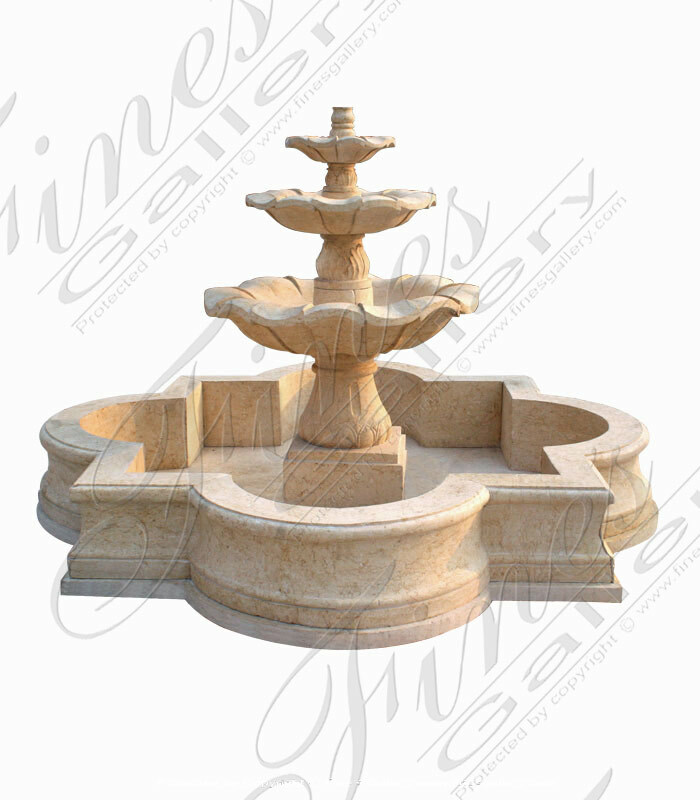 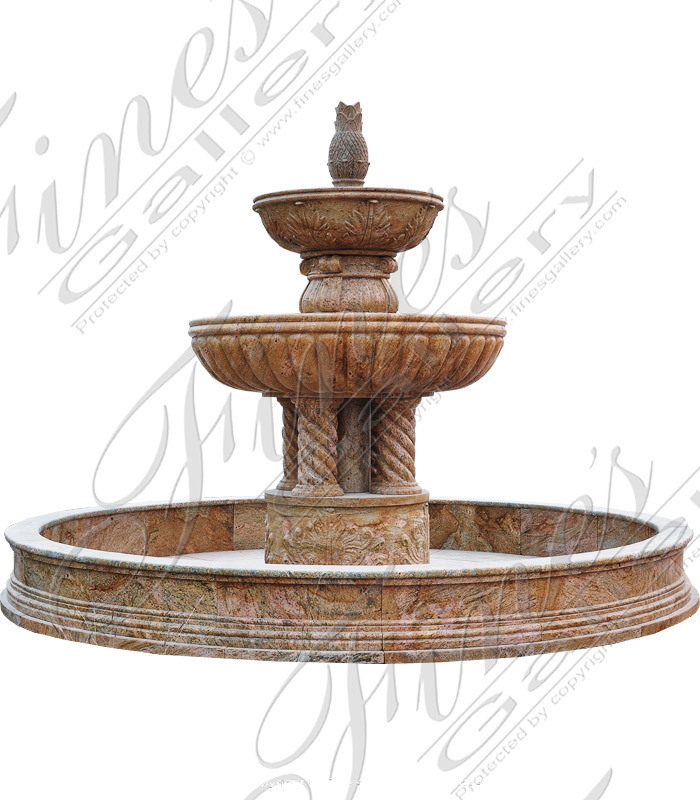 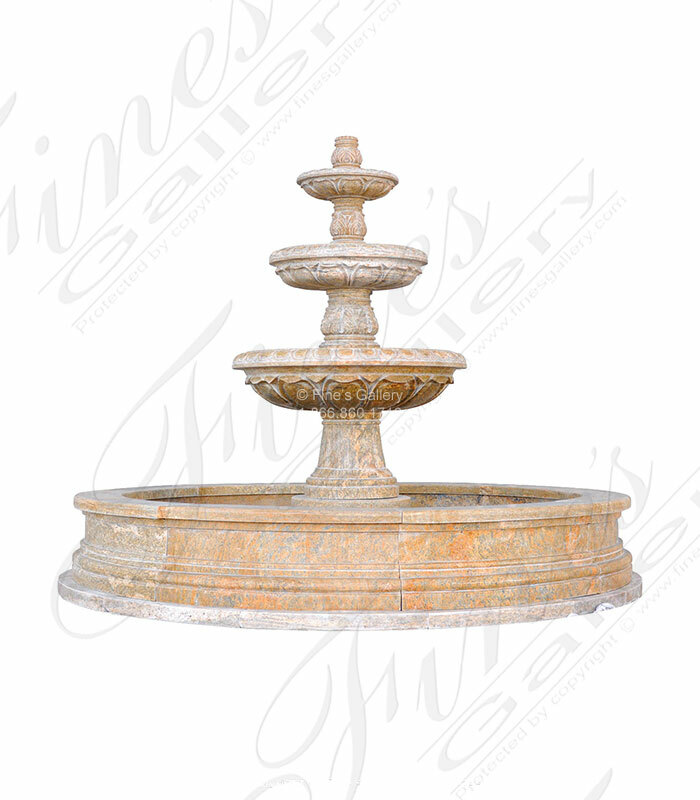 This charming Old World Italian Style Travertine Fountain is carved from light beige limestone, marble or granite. 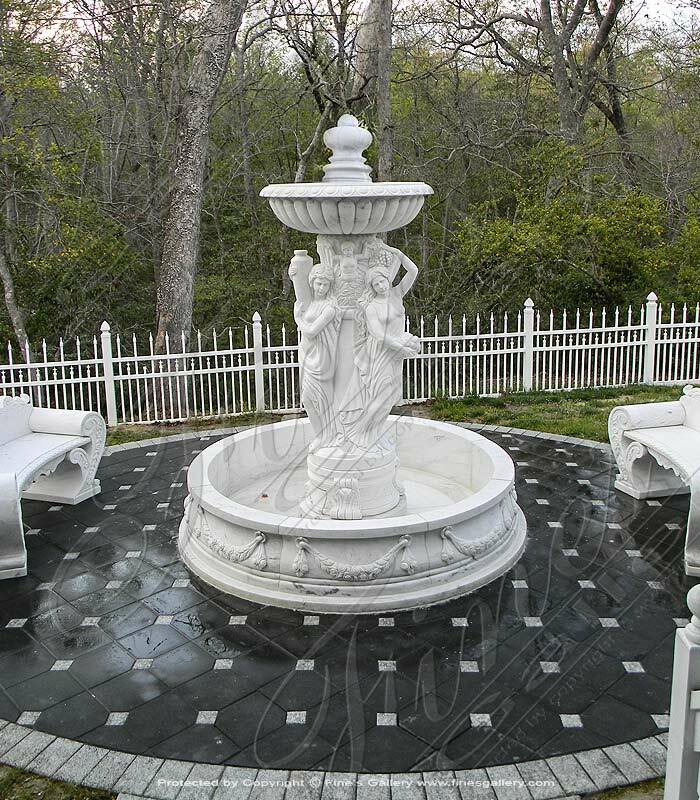 Sea themed relief detail carved into pool wall. 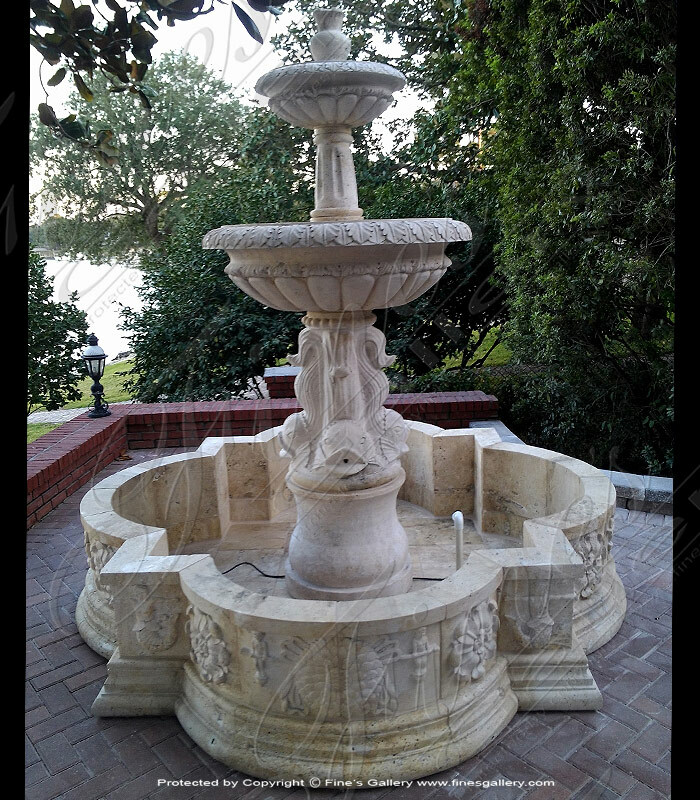 Installed at Fort Walton Beach Florida residence. 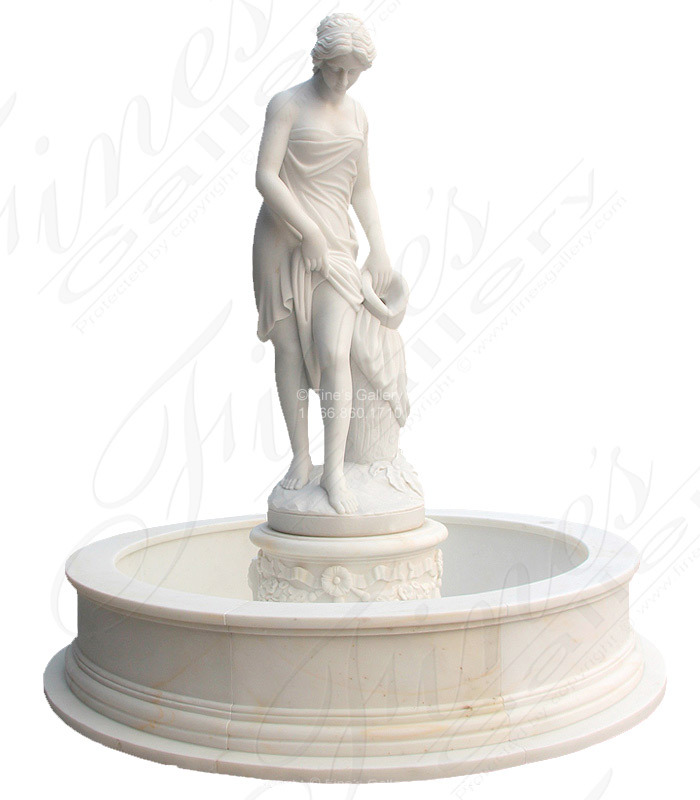 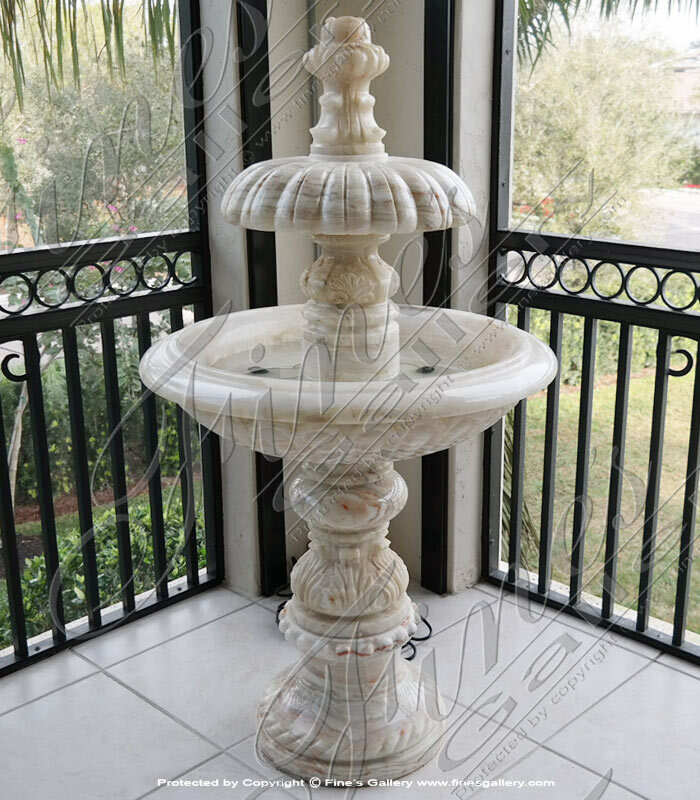 This Pure White Onyx Lanai Fountain is an eye catching focal point of any application. 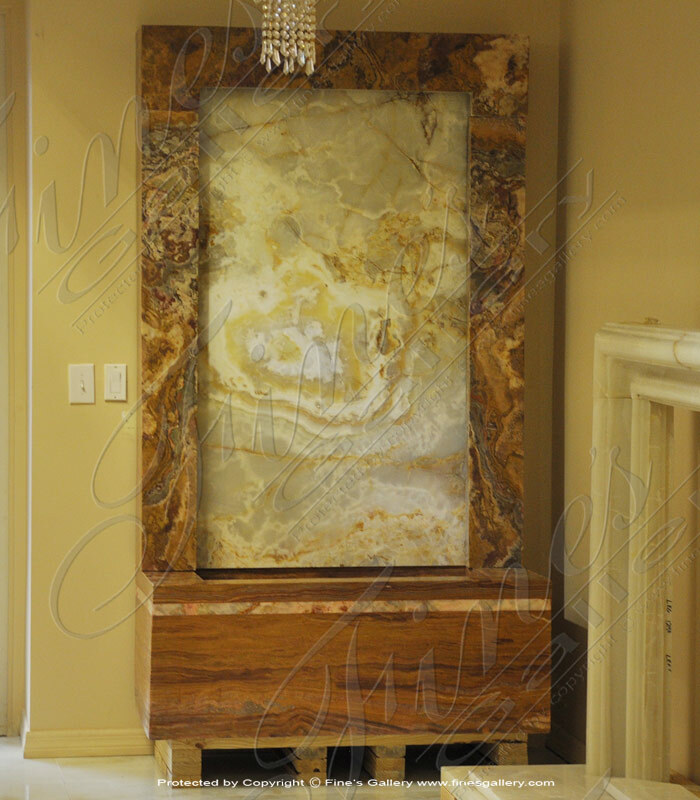 Add LED lighting to create a more contemporary look. 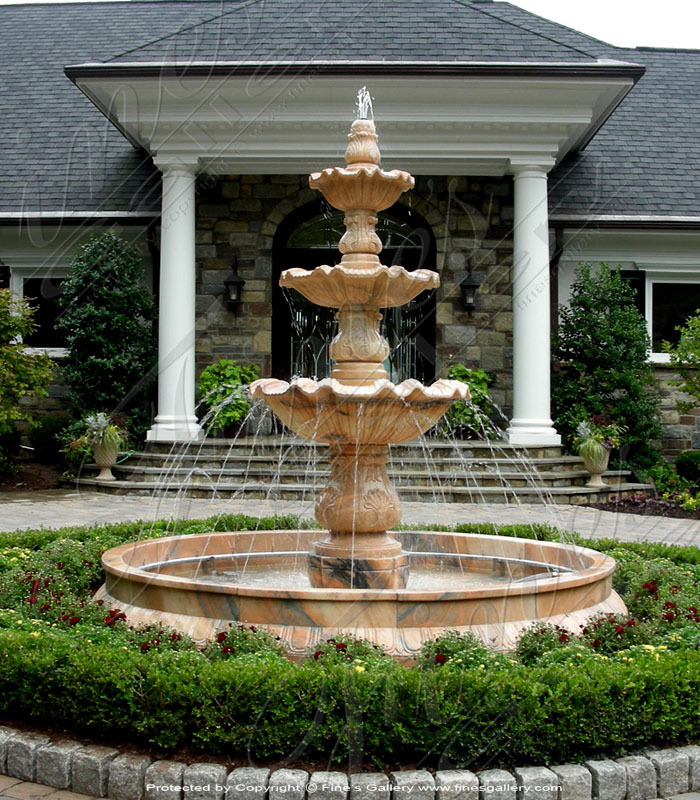 This fountain is commonly installed in a covered outdoor area.